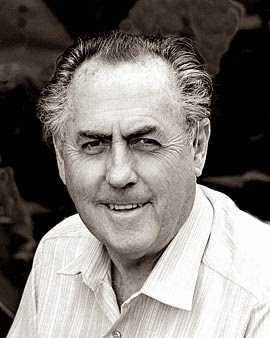 Many readers will have seen or heard today of the death of Sir Jack Brabham who was an Australian racing driver and winner of the Formula One champion in 1959, 1960 and 1966. He was also a founder of the Brabham racing team and a constructor of the Brabham race car. He is still the only person in history to have driven a championship-winning car that he designed and built himself. But his real claim to fame and his proudest achievement must surely have been owning Jack Brabham Motors at the top of Central Road which was established in 1961. 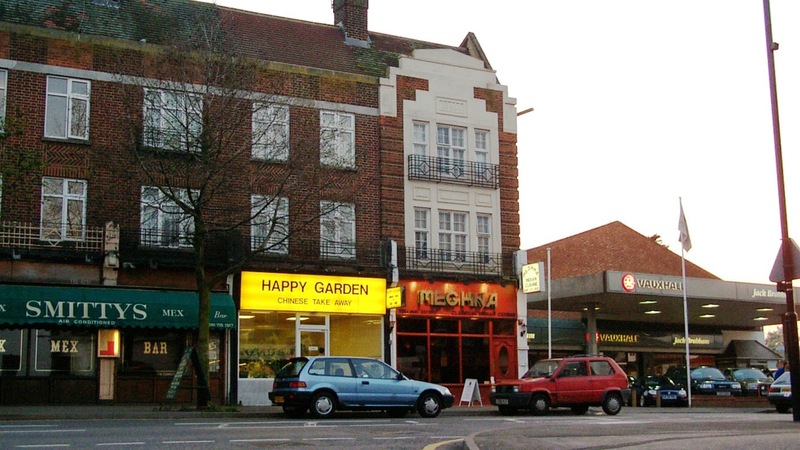 He also opened another garage in Ewell in 1965. "Through [the garages he] retained links with a little corner of suburbia which holds a lot of memories, since both Cooper and his own team were once based nearby. He’s almost certainly the only man to have driven an F1 car on the A3." Sir Jack, who was knighted for services to motor sport in 1979 had a workshop in Chessington. The Cooper (also driven by Brabham) garage was in Surbiton. Apparently he died at his home on the Gold Coast, Australia after a long battle with liver disease. 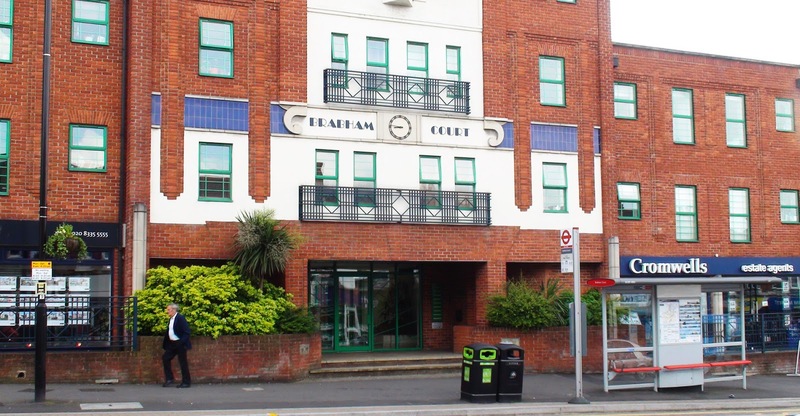 The site at the top of Central Road where Jack Brabham Motors used to be until around 2001, now boasts 'Brabham Court' so it is nice to see Sir Jack hasn't been forgotten. Perhaps someone might consider fixing the clock (which has been stuck at 8:46 for rather a long time) in his honour. Rest in Peace Sir Jack. 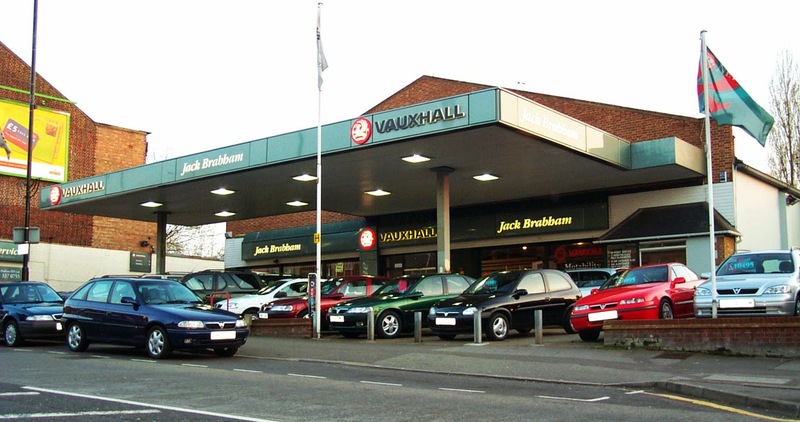 An eagle eyed reader with a good memory has pointed out that the business was actually called: "Jack Brabham (WP) Ltd". Thanks Louisiana!